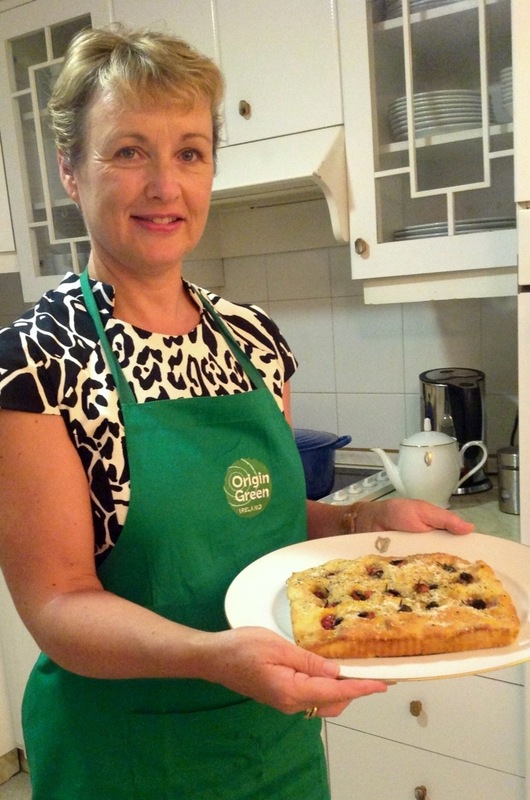 Mrs Hennessy bakes Irish Foccacia using Rachel Allen’s recipe ! 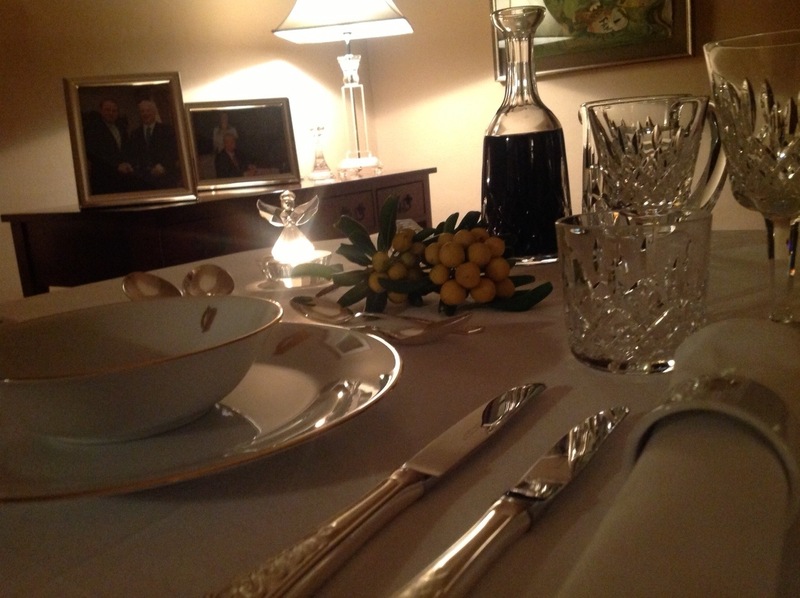 Mrs Hennessy welcomed me to her home and prepared a most delicious meal. She is a person of great warmth and intelligence and a wonderful mother to three children. 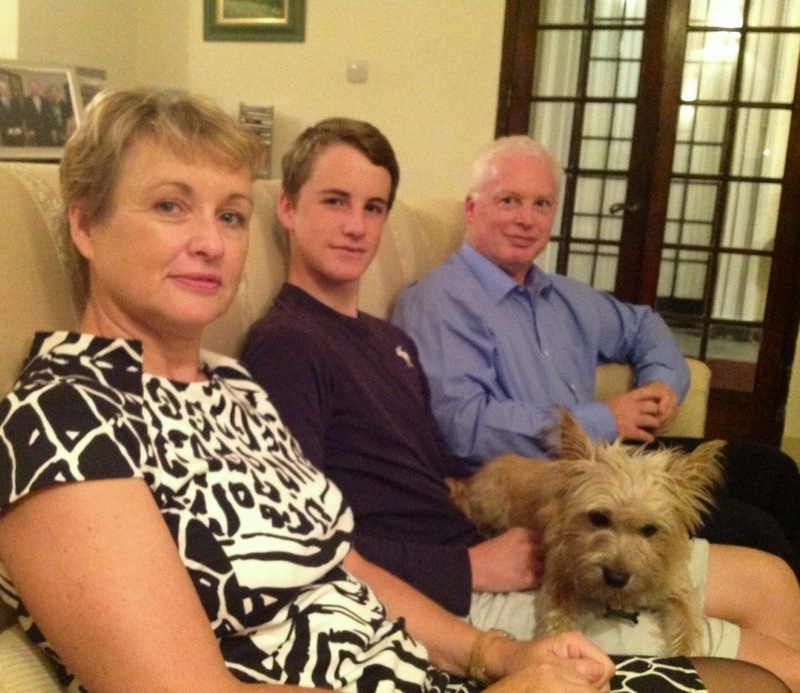 Her eldest daughter is studying medicine in Dublin and her elder son is away at boarding school in Ireland. Ronan who turned 16 yesterday lives at home and i fell in love with their dog Phebo. 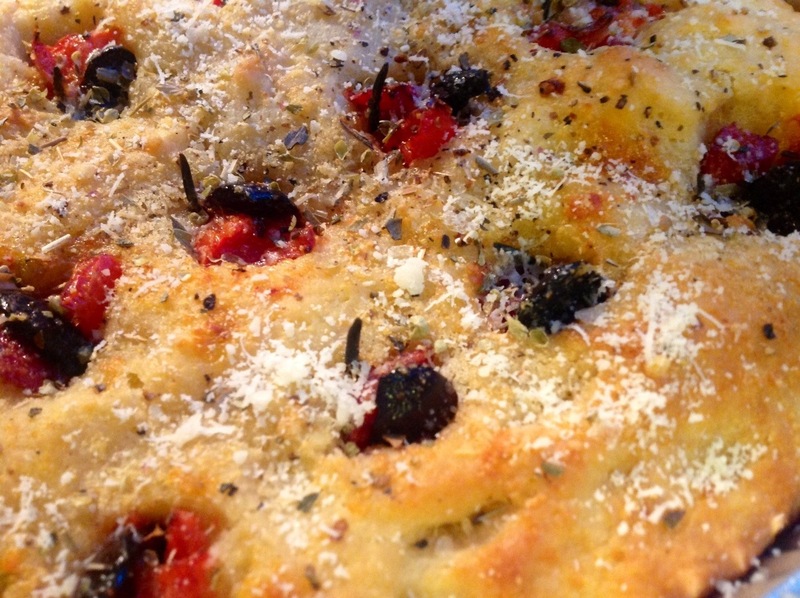 Mrs Hennessy also made Foccacia for us using a recipe by Rachel Allen. I love Rachel’s books and her creative and informal style of cooking. Mrs Hennessy also introduced me to a new book Kitchen Hero by a young and dynamic Irish Chef Donal Skehan and I am looking forward to trying out his recipes which I will post on my website. This is a fantastic foccacia recipe using the same dough as Irish soda bread without any yeast making it very straightforward to prepare. It is very interesting to see such a traditional Irish recipe paired with local ingredients of smoked sausage and freshly preserved olives. Thank you Cindy. I did not see any difference in the taste to yeast focaccia. Let me know how yours turns out!